I'm so excited about the launch of GEMEG Jewelry, by local Scottsdale-based designer (and gorgeous model!) Amanda Shoemaker. 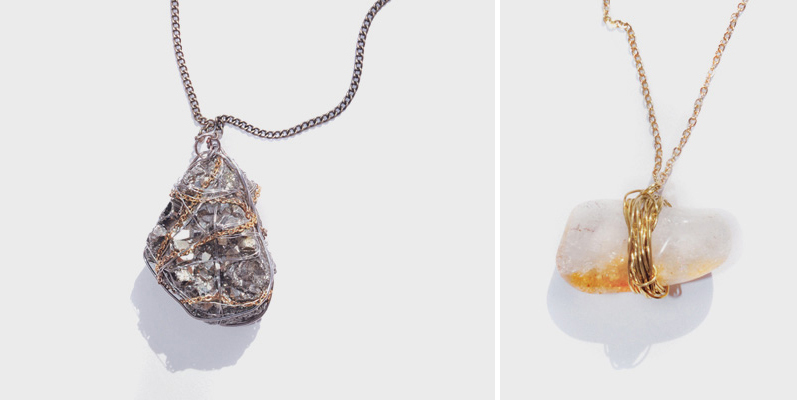 Inspired by Arizona’s desert landscape and native culture, each piece is one-of-a-kind and really beautiful. This takes my love of gems and minerals to a whole new level. See more here - and look out for rings coming soon. All photos from GEMEG. gorgeous pieces, the blue one is stunning!! love the top left (purple) and the bottom right (turquoise) ones. 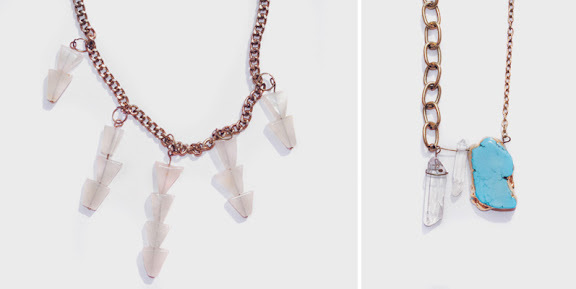 The mix of chains is so original and truly makes these one of a kind. I ADORE wire-wrapped jewelry. And I love how these are earthy but also elegant. The third one is amazing. Thanks for sharing! Hooray for fellow Arizonians doing pretty things! Thanks for sharing! 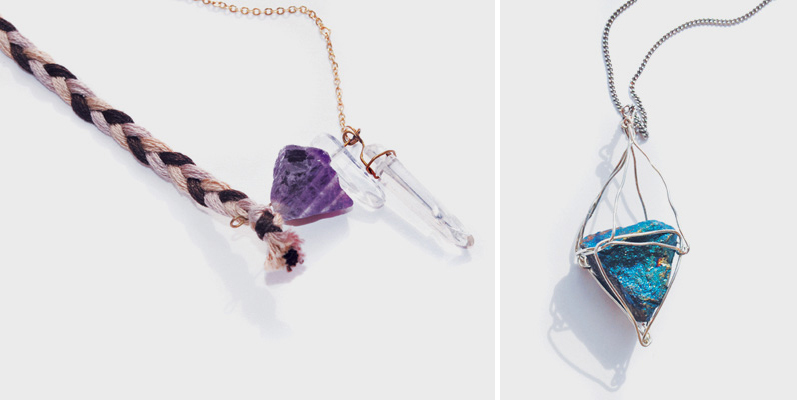 Coveting that crystal turquoise necklace . Love that it's a local designer.